SCHUYLER COUNTY—The Schuyler County Legislature accepted a Rail Line Relocation and Improvement Capital Grant in the amount of $349,680, at their regular meeting, Monday, Sept. 13. The legislature submitted a letter of intent in 2008 to the Federal Railroad Administration (FRA) to provide funding for improvements to the Finger Lakes Railway line in Watkins Glen. Upon being awarded the grant the county will go into an agreement with the FRA for improvements to the Finger Lakes Railway. According to County Administrator Tim O’Hearn, the turn around will be relocated from the old electric building to Cargill, located on East Fourth Street in Watkins Glen. He said the relocation will help improve efficiency and safety of the railway. A contract with Venesky & Company for home care consulting services was approved by the legislature as well. The Schuyler County Public Health/ Home Health Services department is looking at “rearranging” their services, Director George Roets said. Jack Venesky will present the county’s certified home health agency with a Certificate of Operation for sale. The fee for this project will be $9,500 which includes out-of-pocket expenses and two on site visits. One visit will be to begin the process and the other to review the final proposal. Any other on site visits will be charged an additional $1,000 fee. Marcia Kasprzyk, deputy director, and Roets said that home health aid is not a good stable aid service, because less people are being trained, there are only a very limited number of people to be trained, and training is expensive. O’Hearn said the change will occur as soon as possible. The legislature also approved payment to Southern Tier Central Regional Planning and Development Board (STCRP&D) for the development of a regional Geographic Information System (GIS) data warehouse. The GIS data warehouse will hold an authoritative data set and will allow various Schuyler County departments to share different layers of data with other agencies. The total cost of the project including software, hardware and a GIS consultant is $64,000. The STCRP&D has received grant funds that will cover 85 percent of the cost for the project. To make up the difference Schuyler, Steuben, and Chemung Counties will pay local matching funds. 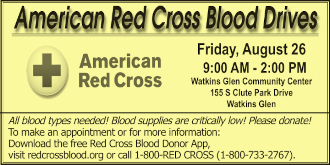 Schuyler County is requested to pay matching funds not to exceed $2,000. 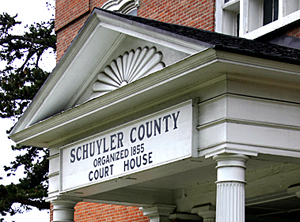 The Schuyler County Legislature approved to amend the management/confidential salary plan factor rating system and salary ranges for the upcoming year. The resolution states that salary ranges must be increased each year due to the cost of living adjustment which is 1.4 percent. The increase will take effect on Jan. 1, 2011. The legislature also approved advertising for bids for HVAC repair and maintenance contracts, structural maintenance and repairs on various structures throughout the county (like bridges and guardrails), and for highway material purchasing.